It is commonly recognised that vitamin C affects a wide variety of skin functions; therefore, it is essential to include when building skincare routines for our patients. Topical application of vitamin C to the skin can have a significant impact on skin rejuvenation, but understanding its many complexities is of upmost importance for successful results. Arguably, the most relevant free radical to ageing is ultraviolet radiation (UVR).5,6 UV-induced erythema and thymine dimer mutations (DNA mutations caused by UV radiation) that contribute to skin cancer are reduced by sunscreen.7 However, research has suggested that sunscreen only blocks 55% of the free radicals produced by UVR.8 Therefore, to optimise UV protection it is important to apply a powerful antioxidant as a second line of defence. Whilst young skin has an abundance of vitamin C, ageing causes its quantitative decline.3 In one study, intrinsically aged skin was shown to have 70% less concentration of several antioxidants, including L-ascorbic acid compared with young skin.12 Plants and animals are able to synthesise vitamin C from glucose; however, humans lack the enzyme L-glucono-gamma lactone oxidase required for its synthesis.19 UV radiation also contributes to the depletion of our natural vitamin C levels.20 For these reasons, we need to acquire vitamin C from external sources to attain its outstanding benefits. The desire to formulate with L-ascorbic acid due to its multi-potentiality in combination with the fragility of its nature as a water-soluble molecule poses a significant challenge to formulators. In our clinical experience and opinion, a serum that stabilises the vitamin C, enhances permeability and is at the correct pH is necessary for best results. L-ascorbic acid serums that are stable and active will appear as a clear to straw-coloured liquid, which will turn an orange or brownish colour when exposed to air or light, an indication it has oxidised.23 When oxidised, the vitamin C is no longer helpful for the skin. Therefore, innovations must be made by manufacturers to protect L-ascorbic acid from oxidising, not only during the period of use by the patient, but also during the period between production and purchase. 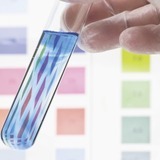 Some ways the stability of L-ascorbic acid can be maintained is by optimising the product’s pH. In a solution with a pH of 3.5 or less, the charge of the molecule is removed and cutaneous absorption can occur.22 The packaging material must also be considered – brown glass reduces the amount of light that reaches the solution. In the quest to keep L-ascorbic acid stable and active, formulators may also suspend it in an aqueous-free solution such as a silica-based product. Another technique used is to supply a long-term dose of vitamin C that is separated into a number of small bottles. Click release technologies can be used to keep the vitamin C separated from the suspension solution in powered form until the patient purchases the product and mixes the two at home. 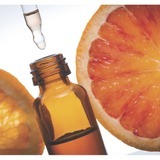 Measures can also be taken by formulators to maximise the efficacy of vitamin C. An example of one such measure is pairing with vitamin E, which potentiates its actions.24,25 Hydrophilic vitamin C also helps to regenerate vitamin E, a lipophilic antioxidant.4,10,26 Thus, vitamin C and vitamin E work together to protect the hydrophilic and lipophilic compartments of the cell. The multi-faceted benefits of vitamin C make it an essential molecule for skin health and rejuvenation and as practitioners we should be educating our patients about its benefits. 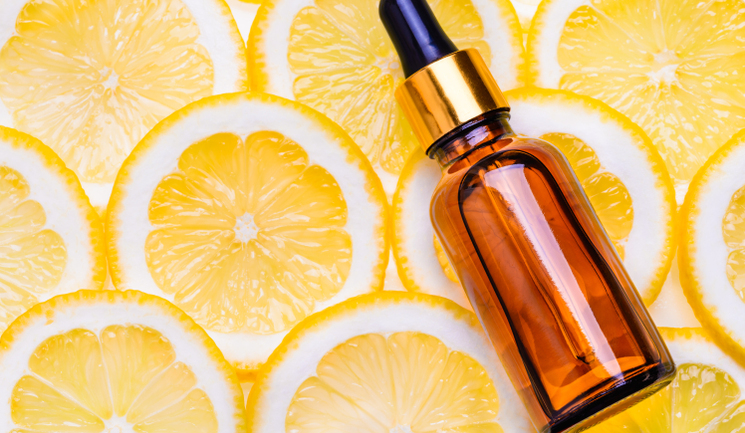 Avoid treating patients with vitamin C serums that oxidise in their bottles, turning a brownish colour while they are on the shelf or at home as they have no benefit to the skin. Compound Summary for CID 54670067, PubMed Open Chemistry Database, NIH U.S. National Library of Medicine. Shindo Y, Witt E et al. Enzymic and non-enzymic antioxidants in epidermis and dermis of human skin. J Invest Dermatol 1994;102:122-24. Rhie G, Shin MH et al. Aging- and photoaging-dependent changes of enzymic and nonenzymic antioxidants in the epidermis and dermis of human skin in vivo. J Invest Dermatol 2001;117:1212-17. Talakoub L, Neuhaus IM, Yu SS. Cosmeceuticals. In: Alam M, Gladstone HB, Tung RC, editors. Cosmetic dermatology. Vol. 1. Requisites in Dermatology. 1st ed. Gurgaon: Saunders Elsevier; 2009. pp. 13–4. Hekimi S, Lapointe J, Wen Y. Taking a “good” look at free radicals in the aging process. Trends in Cell Biology 2011;21(10)569-76. Al Mahroos M, Yaar M et al. Effect of Sunscreen Application on UV-Induced Thymine Dimers. Archives of Dermatology 2002 Dec;138(11):1480-5. Haywood R et al. Sunscreens Inadequately Protect Against Ultraviolet-A-Induced Free Radicals in Skin: Implications for Skin Aging and Melanoma? J Invest Dermatol 2006;121:862-68. Traikovich SS. Use of Topical Ascorbic acid and its effects on Photo damaged skin topography. Arch Otorhinol Head Neck Surg 1999;125:1091–8. Boyera N, Galey I, Bernard BA. Effect of vitamin C and its derivatives on collagen synthesis and cross-linking by normal human fibroblasts. Int J Cosmet Sci 1998 Jun;20(3):151-8. Nusgens BV, Humbert P et al. Topically applied vitamin C enhances the mRNA level of collagens I and III, their processing enzymes and tissue inhibitor of matrix metalloproteinase 1 in the human dermis. J Invest Dermatol 2001;116:853–9. Haftek M, Mac-Mary S et al. Clinical, biometric and structural evaluation of the long-term effects of a topical treatment with ascorbic acid and madecassoside in photoaged human skin. Exp Dermatol 2008;17:946–52. Fitzpatrick RE, Rostan EF. Double-blind, half-face study comparing topical vitamin C and vehicle for rejuvenation of photodamage. Dermatol Surg 2002;28(3):231-6. Humbert PG, Haftek M et al. Topical ascorbic acid on photoaged skin. Clinical, topographical and ultrastructural evaluation:double-blind study vs. placebo. Exp Dermatol 2003;12(3):237-44. Matsuda S, Shibayama H et al. Inhibitory effects of novel ascorbic derivative VCP-IS-2Na on melanogenesis. Chem Pharm Bull 2008;56:292–7. Hwang SW, Oh DJ et al. Clinical efficacy of 5% L-ascorbic acid (C’ensil) in the treatment of melasma. J Cutan Med Surg 2009 Mar-Apr;13(2):74-81. 22 Carr AC, Maggini S. Vitamin C and Immune Function. Nutrients 2017 Nov 3;9(11). Carr AC, Maggini S. Vitamin C and Immune Function. Nutrients 2017 Nov 3;9(11). Naidu KA. Vitamin C in human health and disease is still a mystery? An overview. Nutr J 2003;2:7. Shindo Y, Witt E, Packer L. Antioxidant defense mechanisms in murine epidermis and dermis and their responses to ultraviolet light. J Invest Dermatol 1993;100:260-265. Farris PK. Cosmetical Vitamins: Vitamin C. In: Draelos ZD, Dover JS, Alam M, editors. Cosmeceuticals. Procedures in Cosmetic Dermatology. 2nd ed. New York: Saunders Elsevier; 2009. pp. 51–6. Pinnell SR, Yang H et al. Topical L-ascorbic acid: percutaneous absorption studies. Dermatol Surg 2001;27:137-42. Pumori Saokar Telang, Vitamin C in dermatology, Indian Dermatol Online J. 2013 Apr-Jun; 4(2): 143–146. Murray JC, Burch JA et al. A topical antioxidant solution containing vitamins C and E stabilized by ferulic acid provides protection for human skin against damage caused by ultraviolet irradiation. J Am Acad Dermatol 2008;59:418–25. Telang PS. Vitamin C in dermatology. Indian Dermatol Online J 2013 Apr-Jun;4(2):143-6. Lin JY, Selim MA et al. UV photoprotection by combination topical antioxidants vitamin C and vitamin E. J Am Acad Dermatol. 2003;48:866-74. Elmore AR, Final report of the safety assessment of L-Ascorbic Acid, Calcium Ascorbate, Magnesium Ascorbate, Magnesium Ascorbyl Phosphate, Sodium Ascorbate, and Sodium Ascorbyl Phosphate as used in cosmetics, Int J Toxicol. 2005;24 Suppl 2:51-111.